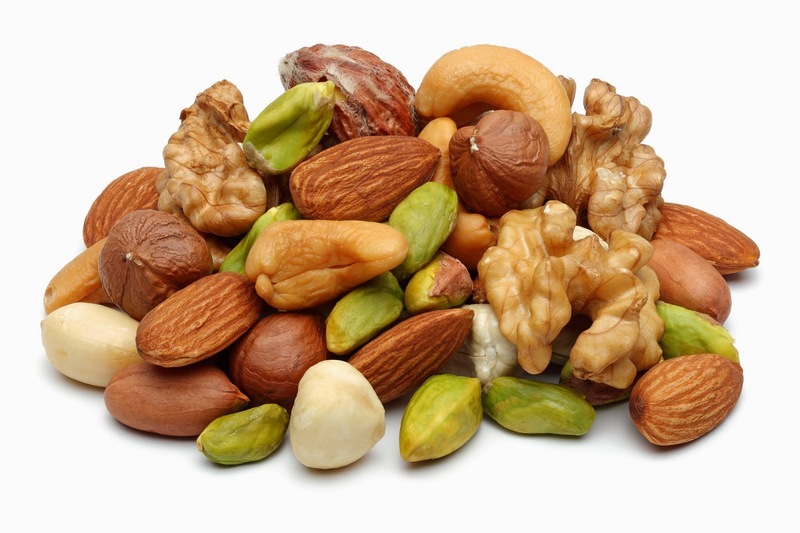 Nuts are packed full of vitamins, minerals and healthy unsaturated fats. They are known to help help lower cholesterol naturally and keep your heart healthy. They can pack a mean calorie punch, so make sure to use portion control when snacking on nuts. The healthy fats will keep you full longer, so do not be afraid of healthy fats. Not all calories are created equal. I love to use them to add crunch to my yogurt parfaits. What's your favorite nut? Almonds contain flavonoids -- compounds that fight cancer causing free radicals. They also reduce inflammation. 24 almonds is 1 ounce and equals 160 calories; 14 grams of fat and 3 grams of fiber. Pistachios contain lutein--an antioxidant which helps reduce bad LDL Cholesterol. One serving equals 49 pistachios; 160 calories, 13 grams of fat and 3 grams of fiber. Pecans contain a hearty source of zinc. Zinc helps keep your immune system healthy and functioning properly, 20 pecan halves equals 200 calories; 20 grams of fat and 3 grams of fiber. Walnuts contain brain food aka as ALA, or alpha linoic acid which is an omega-3 fat linked to stronger bones, happier moods, heart health and better brain function (its shaped like a brain - oh the irony!). 14 walnut halves equals 190 calories, 18 grams of fat and 2 grams of fiber.